This page documents the Magical Effects that can be used for Enchanting items. Enchantment effects can only be put on items that are equipped to certain locations. Apparel enchantments improve the player's attributes, or provide the player with useful new abilities or resistances. An enchantment's base magnitude is the number shown when you hover over that enchantment (in the enchanting menu) without selecting it. This number specifies the magnitude of the enchantment when a Grand soul is used by a player with level 0 enchanting skill and no enchanting perks. ^ a b c Although armors, necklaces and rings can be disenchanted in order to gain the enchantment, armors, necklaces and foot apparel can be enchanted. Therefore you can equip four items (neck, chest, finger, feet) with that enchantment. ^ a b c d e The magnitude of this part of the effect is fixed regardless of skill, soul used, or perks. ^ There are two versions of this effect, allowing it to be applied twice. The second version is from the Shield of Solitude and has a base magnitude of 10%. This issue has been addressed by the Unofficial Skyrim Patch; the shield has been altered to use the normal version of the effect. Base magnitude is the number shown when you hover over an enchantment without selecting it, if you have no perks. It is equivalent to the magnitude with a Grand soul, 0 skill, and no perks. Base uses is defined the same way but cannot be seen directly without the use of the console. ^ a b There are two versions of this effect, allowing it to be applied twice. ^ The magnitude of this effect applies to both damage and stamina damage. ^ a b c d The magnitude of this part of the effect is fixed regardless of skill, soul used, or perks. ^ The duration of this part of the effect is fixed regardless of skill, soul used, or perks. ^ The magnitude of this effect applies to both damage and, at half value rounding down, magicka damage. ^ a b c Only the duration is affected by Enchanting level and perks. ^ This effect is found on the Briarheart Geis, a weapon that cannot be found in game. Stability affects the duration of Paralyze effects. Kindred Mage affects the level of Fear effects against appropriate NPCs. Animage likewise boosts the effective level versus animals. Aspect of Terror does NOT affect the level of Fear effects. Necromage affects the magnitude (damage or level) of all effects used against undead targets. In particular, this allows Turn Undead effects of level 40 or higher to work on Dragon Priests (level 50). Necromage also improves the enchantments on items by 25% if the player is a Vampire. The total number of charges is increased by magicka cost reducing equipment and a high skill level in the respective magic school, but not by the Novice-Master perks. Damage Stamina is affected by both Fire Enchanter and Augmented Flames due to an erroneous keyword. Many Fortify Skill enchantments actually affect the action directly instead of increasing your skill. Fortify Archery, One-Handed, and Two-Handed are the most powerful offensive enchantments. At 100 Enchanting and with the appropriate perks, if you have the maximum four items enchanted with these, you will do +160% damage. Drinking a "+32% Fortify Enchanting" potion while enchanting further increases this to +188%. For comparison, the difference between having zero perks for a weapon and having all perks for a weapon is +100% damage. Resist Magic is probably the most powerful defensive enchantment, as it protects from a wide range of attacks. With the maximum of 85% Resist Magic you can ignore elemental traps and stand in a dragon's breath attack without taking significant damage. Nearly all enchantments are available at level 1. Known exceptions are Banish and Paralyze (both at level 22). If you are mass enchanting your items, weapons offer a greater profit per soul gem used. Weapon enchantment prices are calculated by base uses; the fewer base uses an enchantment has, the more expensive the enchantment will be. The Banish enchantment is by far the most profitable weapon enchantment, followed by Absorb Health and Paralyze. Although weapons are more profitable overall, the price difference from higher soul gems is greater for apparel. So, if you have fewer soul gems than you have weapons to enchant, it's usually more profitable to use the smaller soul gems on the weapons, and save the larger ones for apparel. If you wish to mass enchant apparel, the most profitable enchantments at the petty soul level are usually Waterbreathing and Muffle, though Fortify Sneak can edge them out at high levels. Waterbreathing can be applied to helms, rings, and necklaces, while Muffle can be applied to footwear. (Waterbreathing and Muffle have no magnitude or duration, so they are just as effective and valuable with a petty soul as with a grand one.) If you use at least lesser souls, Fortify Sneak will surpass it. However, no wearable item enchantments are as profitable as the above-mentioned weapon ones per soul used. Regardless of what you're enchanting, at very low skill levels with smaller soul gems, enchanting prices will vary somewhat from their base cost, so check other enchantments to see which is the most profitable. For example, you may find that an item enchanted with Fortify Destruction & Magicka Regen is worth more than one enchanted with Fortify Destruction, even though Fortify Destruction is normally the more profitable of the two. Skill multiplier is 1 + (skill/100) * (skill/100 - 0.14) / 3.4. Overall, 100 skill points will grant 25% increase over the base magnitude. Maximum possible natural (without potions) multiplier with 100 Enchanting, 5 levels in Enchanter, appropriate +25% perk and Grand soul is 3.125x. With potions (without exploiting fortify restoration effect) the maximum is 4.21875x. Where skill multiplier is the same as for apparel. Note that multiple perk modifiers continue to add up - for example, the Chaos effect can incorporate up to 3 specific Enchanting perk modifiers and 3 elemental Destruction perk modifiers. The number of uses does depend on the soul used, but not on perks (assuming maximum magnitude is used). Note: base enchantment cost must be calculated according to the formula listed here when the enchantment is set to "Auto-Calculate". This has a value of 1.38 at skill level 15, and a value of 4.375 at skill level 100. Again, this is approximate, as the flooring operations that occur when setting the maximum magnitude introduce important rounding errors later when determining actual net uses. At skill level 200, Charges Per Use is 0 and Net Uses is infinity, and beyond that, Charges Per Use ceases to be a real number, which is why Fortify Enchanting Potions fortify enchantments directly, rather than adding to skill - it is fundamental to how enchanting works that the skill number used in the above arithmetic never be above 200, and as just explained, even equaling 200 is problematic. The highest Enchanting skill reachable in the game, without mods, is 110, using Ahzidal's GeniusDB, which has a Net Use Skill Multiplier of 5.21. If the weapon has two effects, the charges per use are added together, resulting in fewer uses. The exponent of 1.1 in the number of charges consumed per use means that weapons are more efficient if a lower magnitude is picked. However, the effect is quite weak--halving the magnitude of an effect only improves the efficiency by about 7%. Therefore, for most enchantments it is best to use the maximum magnitude. Possible exceptions are enchantments which apply effects with a duration--since you can swing/fire your weapon fairly quickly, using a duration of more than a couple seconds is usually overkill and will drain your weapon much faster. 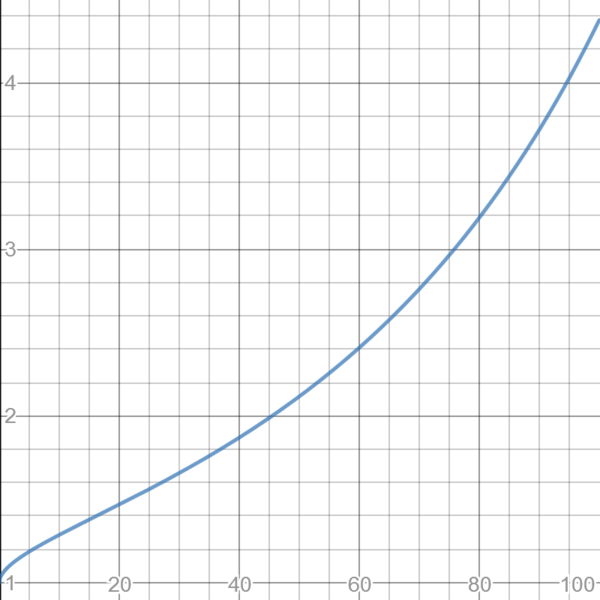 The number of uses formula has an asymptote at 200 skill. For example, if you could get up to 199 Enchanting, your weapon would have x399.5 charges. The formula is based on the displayed number when enchanting the weapon. It is possible this does not work as advertised--see the talk page. The number of uses and charges per use is not fixed at the time of the enchanting. If you use a Fortify Enchanting by 99% potion with 100 enchanting skill to enchant a weapon with a powerful enchant, and then use it later (while not under effect of said potion), it will run out of charges very fast, because number of charges per use is calculated at the moment of the usage. Some enchantment effects cannot be applied to followers, or do not confer the expected benefits to them. See here. Enchantment effects stack with one another and with alchemy effects. If you equip a shield with magical effects and a one-handed weapon, then equip a two-handed weapon, and then switch back to the one-handed weapon, the shield will be automatically re-equipped but without the magical effects. Unequipping and re-equipping the shield fixes this. This page was last modified on 4 February 2019, at 19:03.